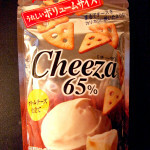 Review: Cheeza 65% Camembert with Cream Cheese | Oyatsu Break! So I’ve become something of an evangelist for Cheeza crackers, simply because they are the best cheese crackers on earth and easily one of the greatest snacks I’ve ever tried. I was going back through my archives here, SHOCKED that I haven’t reviewed literally every flavour… I’m sorry you guys. I’m sorry. 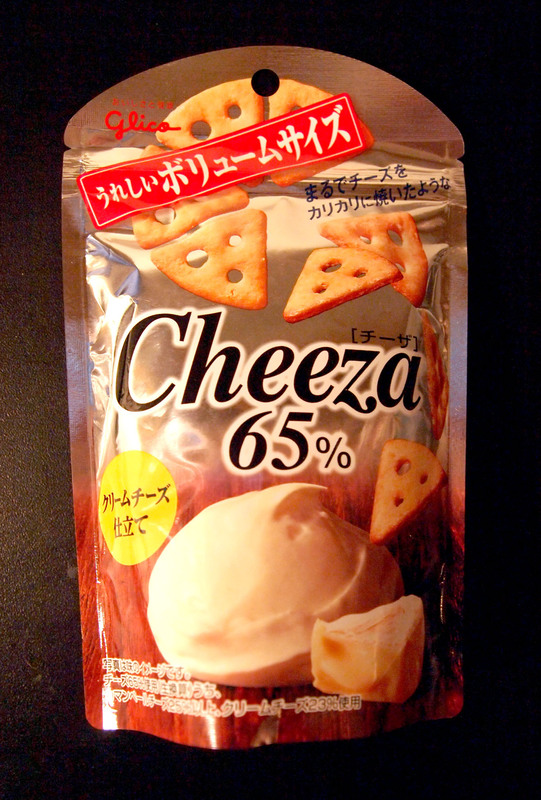 For those of you who don’t know, Cheeza are cheese flavoured crackers, created b the good folks at Glico. 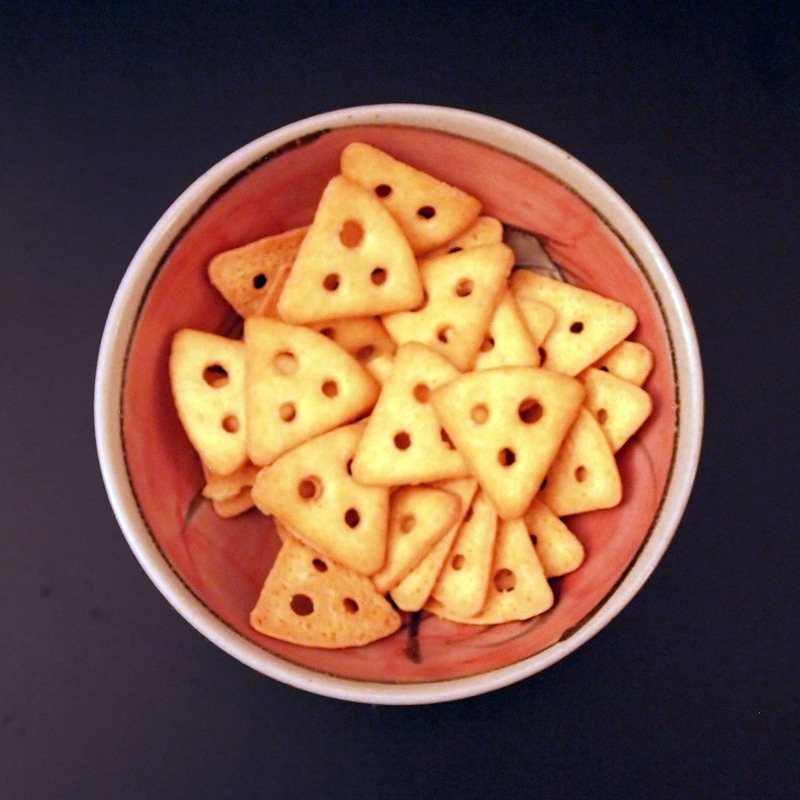 They are made up of varying percentages of cheese, and then baked down into crackers, and they are delicious. I mean, if she’s having a beer and a Cheeza, who am I to argue? And! Can I tell you how thrilled I am about this new Suntory x Glico campaign that is apparently starting soon…? Eeeeeeee! SO EXCITED! Uh, now onto my impartial review. Thanks to Aki Yanagi for bringing these back from Japan for me! 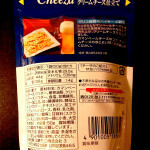 Packaging: This is a bit of a departure for Cheeza, with the foil packaging shining without anything interfering. This must really pop on the store shelves, and I think it looks pretty classy. The rest of the packaging is to Cheeza’s high standard, with two different cheese images, product shots, and a couple of well-placed blurbs. 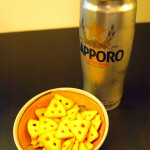 The back’s serving suggestion (plate of Cheeza and a beer) is a true classic, and I’m glad I can’t figure out just HOW bad these must be for me because everything on the package except CHEEZA, nutrition info included, is in Japanese only. The foil package with a resealable zip-lock type opening is also appreciated, though frankly, unnecessary. I can’t remember a time I didn’t finish this off in one go. Scent and Taste: These smell great, really earthy and a little pungent. Very appetizing. As for the taste? As compared to normal snacks, these are Cheeza, and so they’re phenomenal. 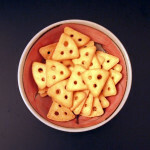 The cream cheese adds a little more creaminess to the standard camembert Cheeza, and the crackers are crisp and crunchy. The combination is phenomenal, I highly recommend it. Verdict: Within the pantheon of Cheeza though, how do these stack up? Well, honestly, Camembert Cheeza are basically perfect, and any time you add anything to them you run the risk of screwing that up. The Camembert with basil worked out very well, the tomato versions though… didn’t. Gorgonzola was hit-or-miss depending on your feelings about blue cheese. So cream cheese then, is basically an inoffensive addition that dials down the sharpness of the cheese a little but adds a creamier, full-mouth feeling. It’s nice, but the reason I eat Cheeza is to have the flavour just knock me out completely, and anything that takes away from that seems like… a mistake. It’s not though, I’m just being too picky, but given the choice between these and the standard Camembert, I’d probably go for the standard 9 times out of 10.